Sony Ericsson Rachael is just another one of the upcoming XPERIA handsets and thanks to Esato board user tob!s we get to see how it would look like on the iPhone 3G. 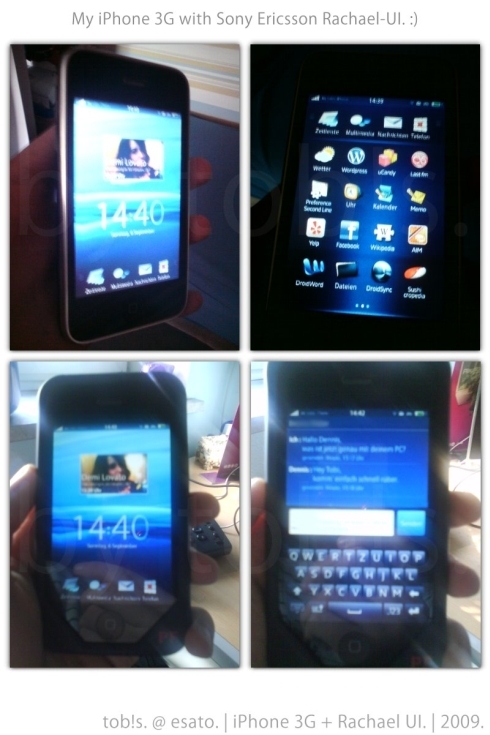 The images below show the Rachael UI on Apple’s previous-gen handset, plus there’s a video below to demo it. I’m guessing it’s all video/photo editing stuff, since I have a hard time believing that the interface was already leaked, but who knows, right? tob!s did a wonderful job and I wonder what would happen if Sony Ericsson launched a device with HTC’s Sense UI on board and Android OS, too.